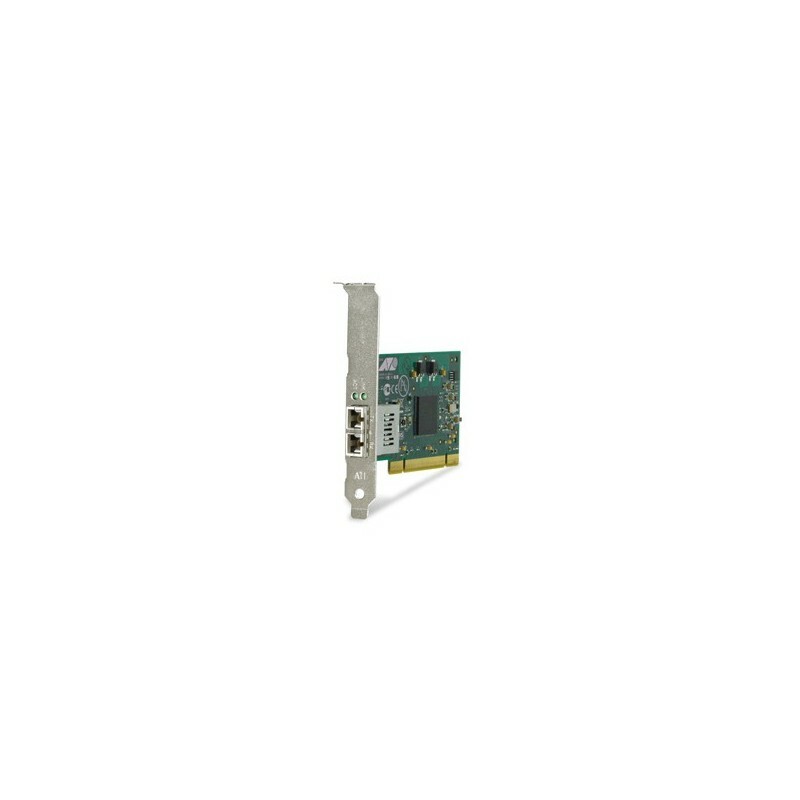 Allied Telesis AT2916SX is a high reliable 32bit PCI Gigabit Fiber Adapter card. It helps to boost your Fast Ethernet desktop throughput ten times to 2000Mbps. With the 1000BaseSX fiberoptic connection data transmission is both secure and faster.In order to reduce CPU usage Allied Telesis AT2916SX uses the adaptive interrupts and ultradeep 96KB packet buffer. Coupled with link aggregation and load balancing AT2916SX achieves the best performance of its class for desktop connectivity.